Last week I shared that the strong women in two of my favorite books moved both figuratively and literally as they accepted the challenges of life. I mentioned they were women who refused to allow past circumstances to hold them hostage, to keep them from become the women God intended them to become. They are good models for me. This week I have been packing boxes in preparation to move into a new house. I know this is the right time. I know God has a plan for me. That helps. Knowing I am living within God’s will makes life decisions easier. Easier—but not without a crazy mix of emotions. It’s not that I have a problem leaving this place I’ve called home for twenty-four years. I made the decision shortly after Tom’s death to never be held hostage by a place or event. I made it a point to eat at some of our favorite restaurants. I went to the movies with my kiddos to see the new Star Wars movie when it came out—something Tom would have loved. Tom and I had planned to move in 2014. The intent was to spend the winter camping in Florida. We planned to return to Ohio in the spring when we would find some property and build a new home. In fact, we had a contract for selling this very house. The closing was set for November. Tom died on October 29th. The buyers, people chosen by God because he knew they would do the right thing, were gracious and helpful. They let me out of the sale. I wasn’t ready to go through Tom’s things—to sort through his clothes, tools and sports equipment. And I had nowhere to go. Earlier this year, a little over two years after losing Tom, I came to the realization it is time to move. Time to downsize. Time to pack up the life I’ve known and move toward the plan God has for my future. I prayed about it. I found a house that suits me and my needs. The new house is smaller and everything is on one floor. Every step of the buying and selling process has been affirmed by God in multiple ways. Perhaps that is another blog post. For now I am packing. When I tell people I’m moving I receive mixed reactions. Close friends understand and have offered to help. Some people ask me how I can leave this house since it was the last place Tom and I lived together. A few other widows have called me “brave” or “courageous.” But the remark that strikes me most is when people suggest that by moving I am leaving the memories behind. “You have so many memories in that house. How can you leave it?” they ask. Here is the simple truth. I’m packing up the memories and taking them with me. If you want to be a good writer, you need to read. A lot. I love to read. Ever since I was old enough to figure out the words printed on the box of cereal, I’ve been an avid reader. Reading a variety of novels helps the author examine structure and differing styles of writing. Reading offers insight into how to create crises and develop believable characters. One exercise I like to do is to reflect on books I’ve read and liked and try to draw out what it was that I found appealing. I can then attempt to emulate what I perceive as good writing. Lately I’ve been thinking about two novels published by Lighthouse Publishing of the Carolinas. These books resonate with me. I don’t consider myself a romance writer, but these books are both romance novels. 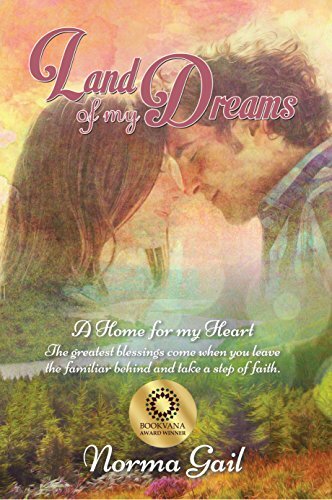 Secrets and Charades by Cindy Huff falls in the category of historical fiction while the other, Land of My Dreams by Norma Gail takes place in a contemporary setting. The books are both more than clean reads…they each offer a Christian worldview while at the same time sporting differing themes. I don’t write romance and I don’t write historical fiction. So what is it that intrigues me? 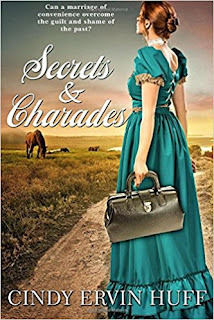 What do Secrets and Charades and Land of My Dreams have in common that I want to imitate? The answer is simple: Both books feature strong female characters. I’m not talking about the Wonder Woman kinds of super heroes. (Though I do want to see the new Wonder Woman movie!) I’m talking about women who are smart, interesting, and courageous. Both have something in their past that threatens to hold them back. Both bravely face moving both literally and figuratively out of their comfort zone. These women do not let events of the past hold them hostage. Evangeline Olson in Secrets and Charades is a doctor. Set in the post Civil War era, Evangeline leaves her Missouri home to answer the call to be …wait for it…a mail order bride. In fact, the man she is to marry doesn’t even know she is a doctor. What I like about her is her strength of character, sense of fairness, compassion, and tender vulnerability. Ultimately she faces issues in her past to accept the life God has carved out for her in Texas. Bonny Bryant, the main character in Land of My Dreams is also a strong, yet flawed woman. She doesn’t see herself as strong. Yet here is a woman who leaves her home in New Mexico to take on the role of visiting professor in Scotland. She has suffered great loss and though the reader may think she is running away from the pain, in truth, she is running to the very life God has intended for her. It had to be tough. Lots of second guessing. But then, maybe I’m engaging in a little self-projection. Isn’t that what we want from characters in the books we read? People with whom we can identify? People who inspire us to press on? People who show us the possibilities before us? What characters do you look to for inspiration? What flaws do they have? What are the strengths that draw you into their world? And if you want to read either of these books, follow the links below…oh and don’t forget to leave a review for these authors. Have a great week. I’ll be busy packing. Time to make that move out of my own comfort zone. ME: Hannah! It’s wonderful to have this time with you. I want to pick your brain a bit today, so let’s get started. My readers are always interested in what it takes to start that writing career. Where did you start and how did you get published? HANNAH: Great question. I started by signing up for my favorite author’s newsletters and answering calls to review advanced reader copies. 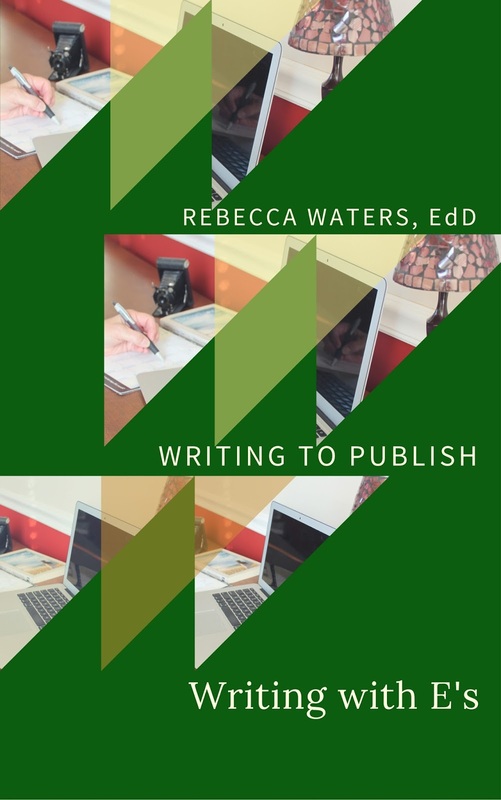 Finally, I worked up enough nerve to email one author and get her advice on entering the writing world. She told me to join ACFW (American Christian Fiction Writers) and get involved in their online critique groups. BEST decision ever! Once I joined, I was advised to go to writing conferences, meet with agents, editors, other writers and take their writing/publishing advice. So I did that as well, and two years after joining ACFW, and going to conferences, signed my first contract with Olivia Kimbrell Press! It’s been a great journey…fast, insane, but always great! ME: “Best decision ever”…I love it. Actually, readers, Hannah and I first met at the 2015 ACFW Conference in Dallas! Okay, next question: How do you stay focused and keep disciplined in writing? HANNAH: That’s a work in progress, but it really is about making the time, and sitting down to write. I honestly pray about staying focused and disciplined as well. I sit down with my calendar and ask God to show me where the time is, and then ask Him for the discipline to stick with that schedule. Don’t get me wrong, I fall off that wagon A LOT, but God keeps helping me back up. ME: I understand. I live that life. One of the problem areas for new writers is writing believable dialogue. How did you learn to write good dialogue? HANNAH: Good dialogue? Sure. By reading, reading books on dialogue, and watching movies that I love with the sole purpose of listening to them banter back and forth. I seriously highlight and underline words, dialogue, sentences etc in what I’m reading when I think it’s something I can learn from. I’ve even been known to watch a movie while jotting down notes…yeah, I’m kinda geeky like that. ME: You refer to yourself as geeky but I think you are one smart cookie! Okay, how do you approach describing a setting to your readers? I mean, do you use visual images or what? HANNAH: Appeal to the senses. Close your eyes. Picture the scene in your mind like a movie. What can you see? Feel? Touch? Hear? Smell? When you’re setting up a scene you can then drop pieces of those senses within your story to bring the setting to life. For example, if I’m describing my 7th grade world history classroom (which I’m totally looking at right now), I don’t need to tell you it’s a 7th world history classroom. I can describe the desks, maybe the spinning globe, the scent of Germex and Febreeze mixed with the faint wisps of BO! Ha. J Get my point? ME: (laughing) I have grandsons in that age group! Tell us, what was your biggest challenge after having your first book published? HANNAH: Getting the next one ready! Whew! It’s an interesting juggle act. ME: The Wounded Warrior’s Wife is such a wonderful book, what is one take-away from your book you hope readers will identify with? HANNAH: An overwhelming sense of redemption. I pray that readers will ALWAYS walk away knowing God can redeem any situation. We only need to let Him. ME: Yes! I love that…”we only need to LET Him.” What advice would you give to aspiring authors for writing and/or publishing? 1: Join ACFW! And then get plugged in to a critique group. 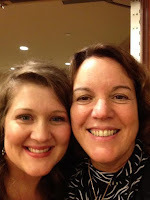 2: Go to as many writing conferences as possible! Invest in your God-given talent. 3: Read about the craft of writing. 4: Read all sorts of books in your genre and out of your genre. 5: Be coachable. Criticism is often a friend. It takes MANY hands on our work for it to become polished and ready for the world—trust those many hands. 6: Persistence. Remember, rejection letters just get you closer to an acceptance letter. ME: Great list. Now one more fun question then please tell us about your current project: What do you do as a hobby? HANNAH: Would sipping coffee be a hobby? Eating chocolate? Actually, I get swallowed up by books, documentaries, and historical sites. I’m counting all those things as hobbies! My current project is set to launch late June, early July! Right now we’re calling it Meant to be Broken, but the name is subject to change. Meant to be Broken follows a young woman, Leanna Wilson, from Eastern, KY who thought she knew where her life was headed—and that was FAR from the hills. Her plans are thrown off course with the death of her parents, and now Leanna must leave her path, assume custody of her sister, and give up the freedoms she once sought to be chained to the community and the broken relationships of her past. How much of her freedom is she willing to give up, and when her past comes calling, will it end in more brokenness? Want an Advanced Reader’s Copy? Sign up Here!!! ME: Hannah, Thank you so much for sharing with us today. HANNAH: Thank you for having me on as a guest! I’ve had a great time! 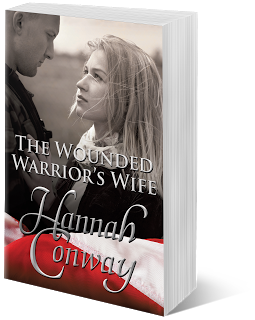 Hannah Conway is a military wife, mother of two, middle school teacher, best-selling author, and speaker. Her novels are a deployment experience of their own, threaded with faith, and filled with twists and turns sure to thrill, and encourage. 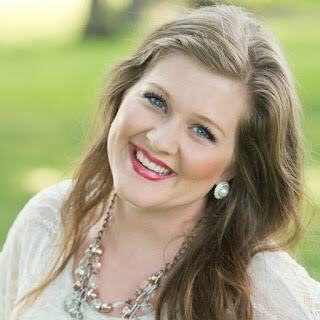 Hannah is a member of the American Christian Fiction Writers, and My book Therapy. She and her family live in Tennessee. Pick up a copy of The Wounded Warrior’s Wife, here! Download a FREE Ecopy of Wedding a Warrior, here! Your Best Writing Prompt Ever May Be Found In The Stars! E is for Exercise. One of the most important habits a writer develops is exercising the writing muscle on a regular basis. This can be accomplished through a variety of ways. Today’s post is one offering. Exercise is more fully addressed in Writing with E’s, available on Amazon. Last week I wrote about capturing your story in a single sentence. It’s a tough assignment. Boiling your novel down to a single sentence will help you focus as you write and will provide a starting point for your elevator pitch once your book is finished. I am a huge fan of “less is more” and love it when something so brief can trigger my imagination and pique my interest. 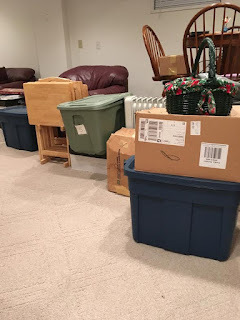 Some of my readers know I am in the process of moving. It is a daunting task and one that has kept me from fully engaging in working on my current novel. Those busy times of life when I can’t remember where I stored my notes or think about those crazy characters I’ve created can pull me away from the keyboard. It is during these times I know I need to continue to exercise my writing muscle all the more. Think of it this way. You cannot run a marathon every day but you can tone your muscles or at least keep moving so when the marathon time is at hand, you are ready to run. Exercise. Last week’s exercise was to write out the essence of your story in a single sentence. This week I took a more creative approach. Have you seen the Zillow television commercial called “Stars” on television? You can watch it HERE. In a matter of seconds, a story unfolds that is both heart wrenching (read: I cried the first time I saw it) and heart warming. It is a story filled with love. Seriously. If you haven’t seen it, here is the gist of it. A widowed father hopes to find a home for him and his son closer to family. The story unfolds from the child’s perspective. He misses his mom. He and his dog look to the sky and imagine the brightest star is his mother looking down on him. The ad ends with the boy looking out the skylight in his new home saying goodnight to his mom as he looks at the same bright star. I watched the commercial a couple of times and realized I wanted to know what happened to the mom. I wondered where they lived, what job the dad had, where “Nana and Poppy” lived. I wondered how the boy fared. Did the dad ever remarry? Who could possibly step into “her” shoes? You see where this is leading, don’t you? 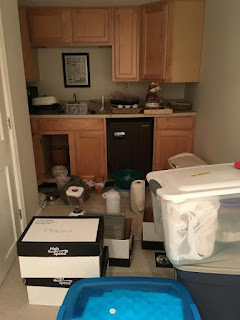 Here I was in the middle of sorting and packing and cleaning and driving loads of stuff I’ve collected over the years to my local Goodwill. But writing is how I cope. The characters in my book, my current work in progress, remain in the back of my mind but I have no time to attend to their needs. Yet here is this little boy in a commercial begging me to write his story. A little over eight hundred words later I can get back to sorting the junk in my closet. I feel good. I got in some exercise. I shared the idea of fleshing out the “stars” story at my ACFW chapter meeting. The consensus was that if each person in the room took the commercial as a prompt, we would wind up with as many different stories as authors. What fun! Do you have a favorite television commercial? Have you ever used a television commercial as a writing prompt? Let’s chat. Share your experiences in the comment section below.